﻿FMCTAS is actively hosting and attending community events to pay vet bills, buy supplies and save lives. 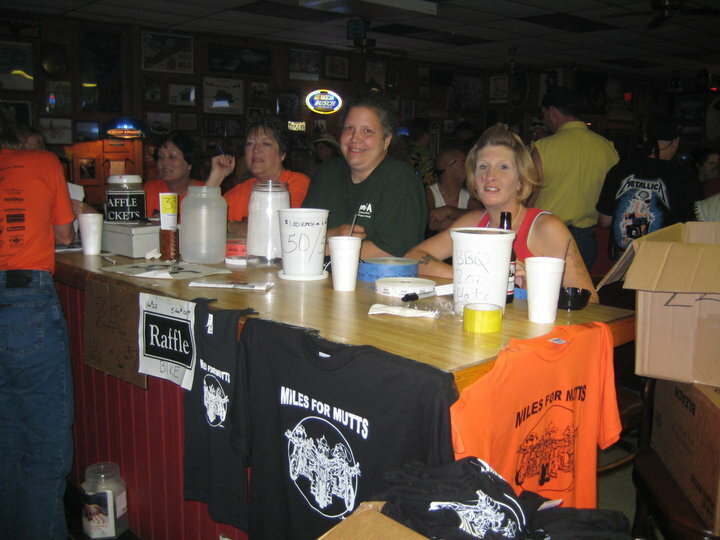 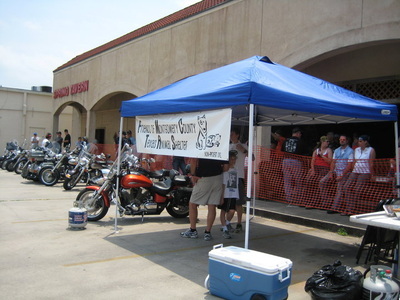 Check our current and past events and fundraisers here. 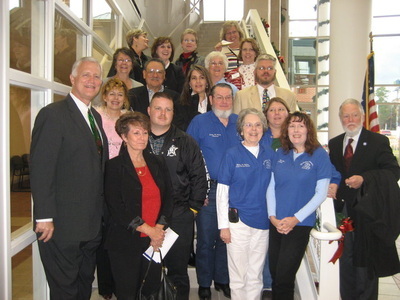 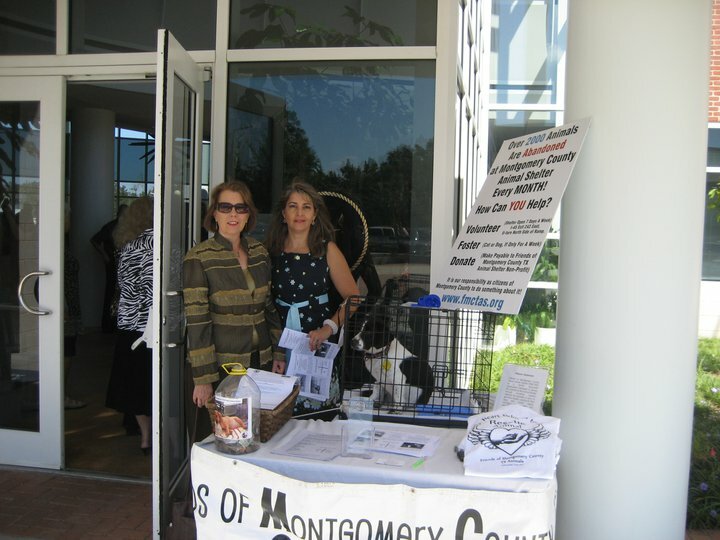 FMCTAS donates to the Montgomery shelter on HWY 242, $4,000 for spay / neuter clinic . Hundreds of low income families are benefitting from this free clinic. 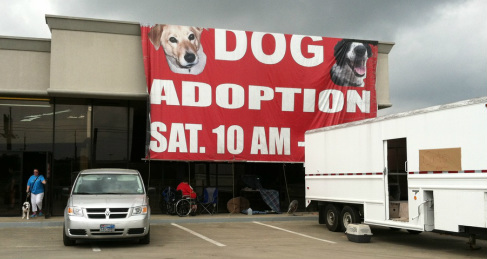 We have over 40 dogs to adopt every Saturday. They are all vetted, spayed /neutered and socialized by us. 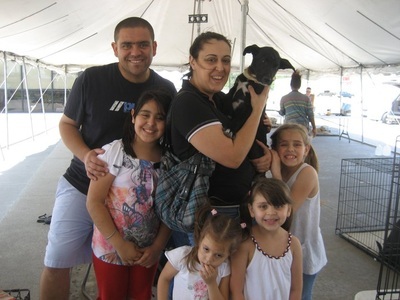 Find out more about the animals available for adoption on our Adoption Board. With Toro and Draw Academy kids learning how to take care of animals, to adopt from shelters only , spay and neuter. 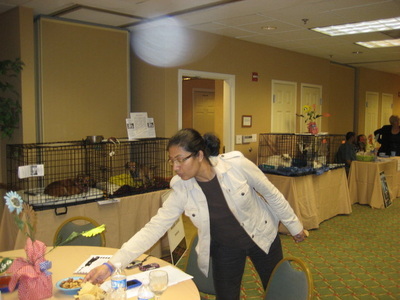 Natalia Rivas the Colombian teacher that is making a huge difference in that school and the kids lives. 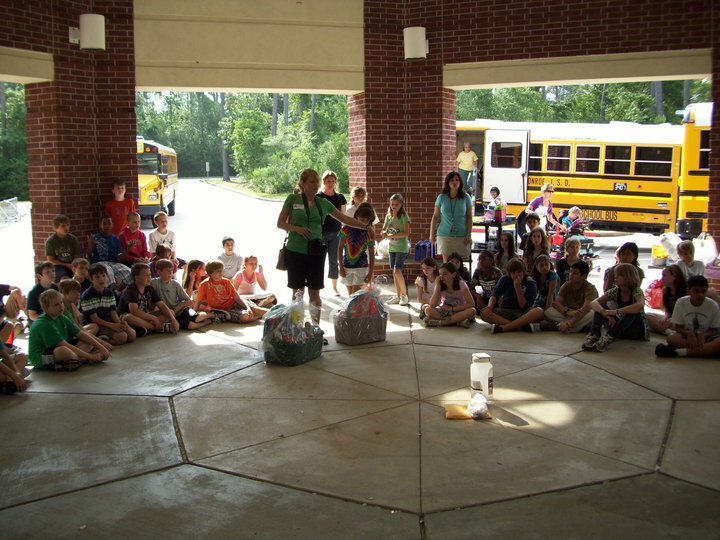 Thanks to our Volunteer Susan Skinner we were able to show the kids in our community the work we do. 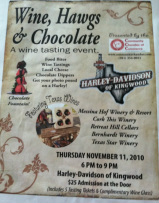 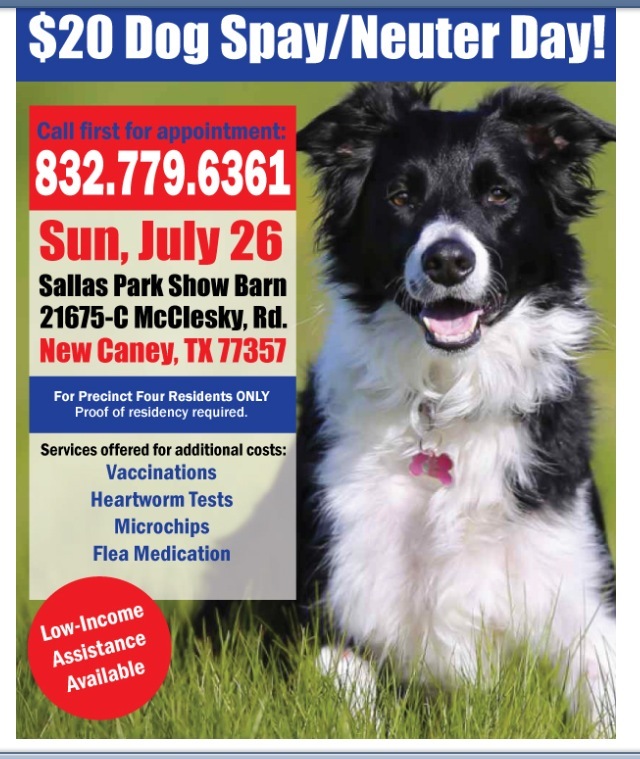 by phone contact Pat (936) 499-9559 / Teresa (281) 350-3052. 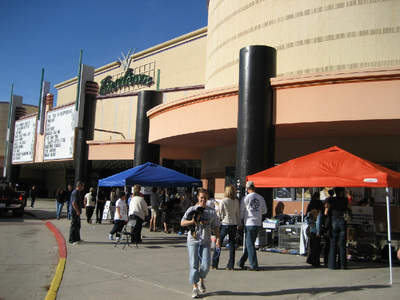 The Woodlands Mall has the Holidays all wrapped up! 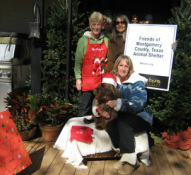 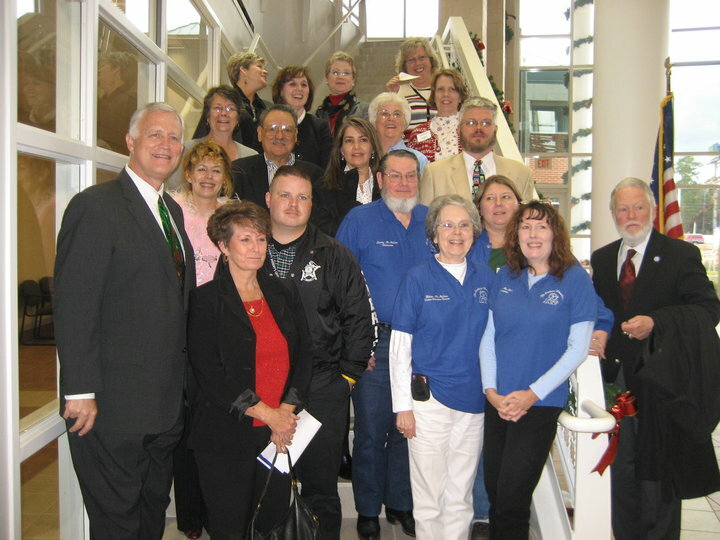 Not only is the shopping center brimming with gifts for every age, but also Friends of Montgomery County Texas Animal Shelter (FMCTAS) volunteers will be on hand to wrap all Holiday gifts for shoppers again, as they have, every year since 2009. Special thanks to Diane Lovetinsky. 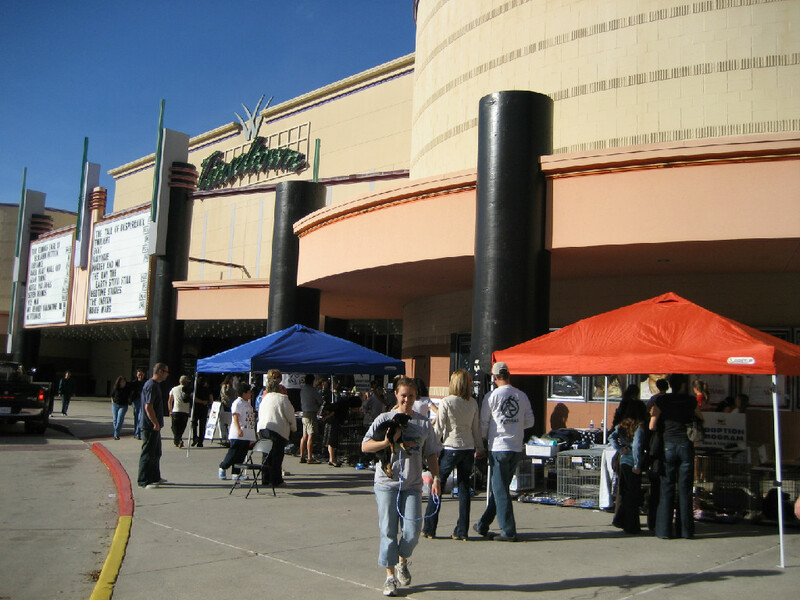 Dates: from November 28th (Black Friday) until December 24th. FMCTAS has a booth for Valentine's Day week at the Woodlands Mall every year. 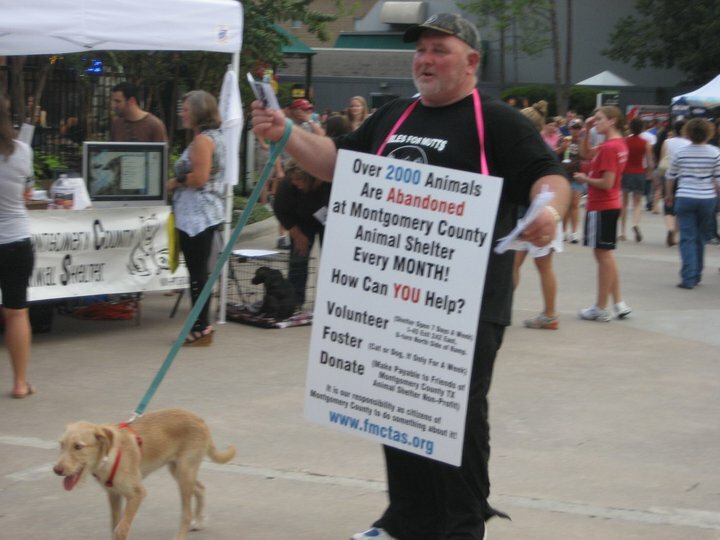 We thank the management of The Woodlands Mall for giving us this opportunity to raise money for the many animals in need ! 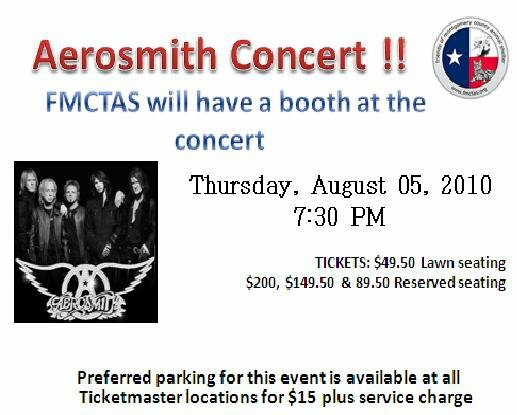 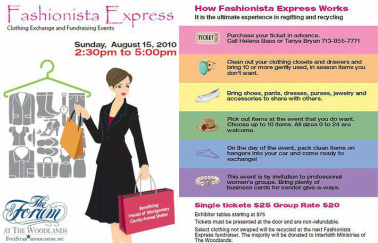 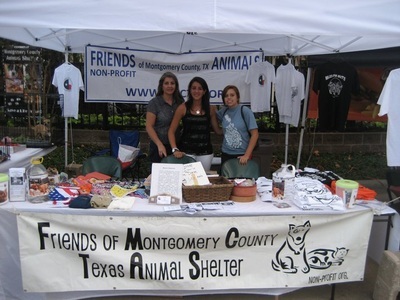 FMCTAS was the only non-profit organization invited to host a booth at the Cynthia Woods Mitchell Pavilion in The Woodlands since 2010. 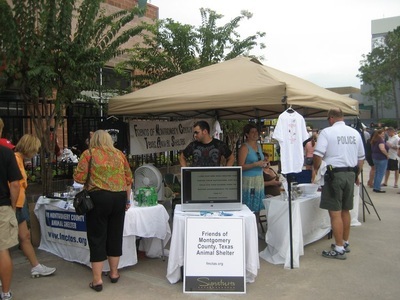 Our booth was manned before, during and after the concerts and many animals including 'Diamonds in the Ruff' dogs (animals that have been at the Shelter for several months) were adopted by the public each weekend. Hundreds of informational brochures on Montgomery County Animal Shelter were handed out to concert-goes every weekend for the past years. 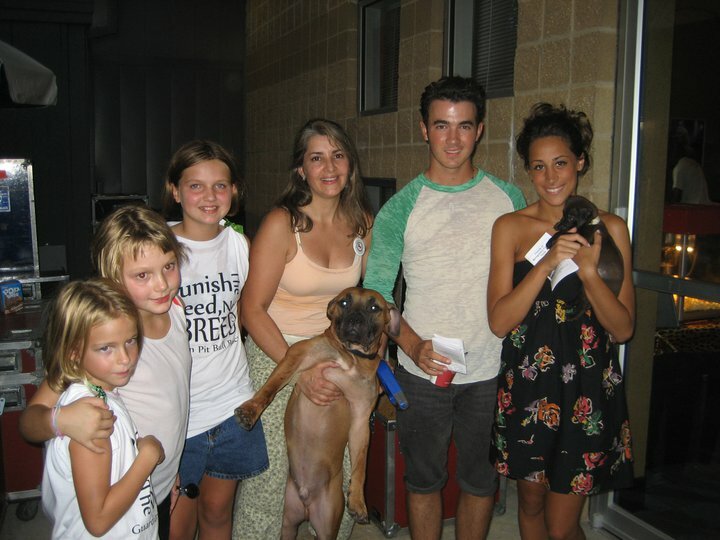 We were with the amazing Jonas Brothers, and they were generous enough to consider adopting one of our little ones the day of the concert. 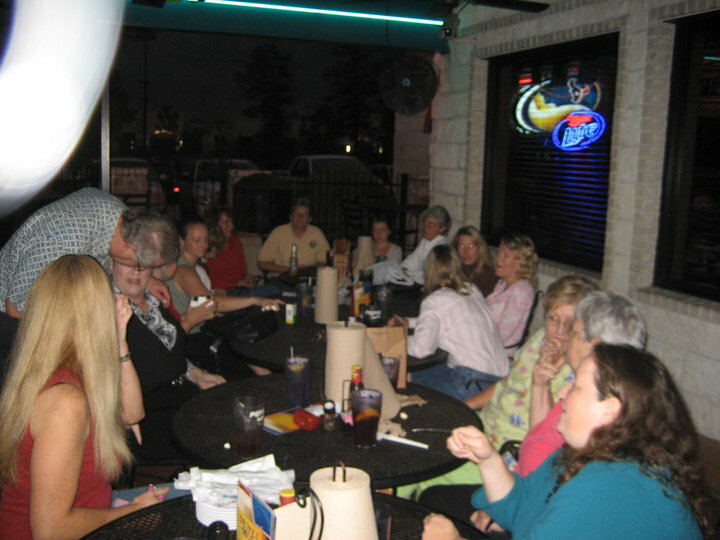 We were at the Zac Brown concert at the Woodlands Pavilion. People stopped by the FMCTAS booth and met some 'Diamonds in the Ruff' dogs. These dogs have been at the shelter for months and are desperate for a place they can call home. 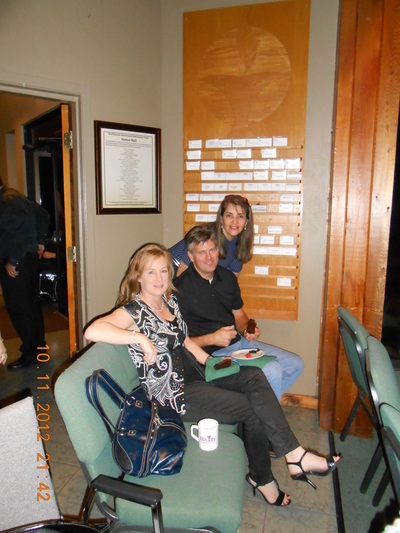 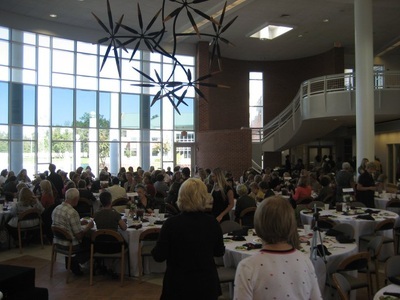 East Montgomery Chamber of Commerce event for The Mission non-profit. 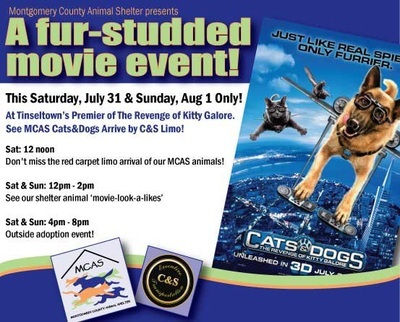 FMCTAS had Buddy who went to a very nice home. 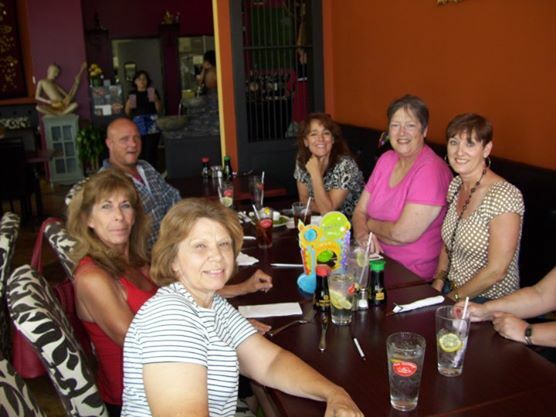 Thanks to volunteer Barbara Egan and Terri Kropik. 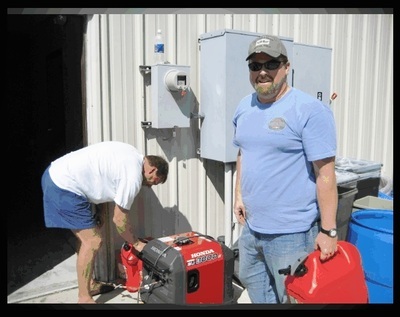 FMCTAS bought and supplied MCAS with two generators to keep basic functions possible at the shelter. 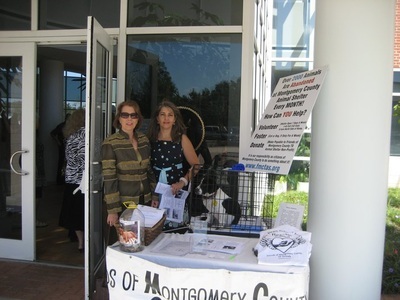 FMCTAS organized and rode with the Montgomery County Fire Department to provide clean water to the shelter. 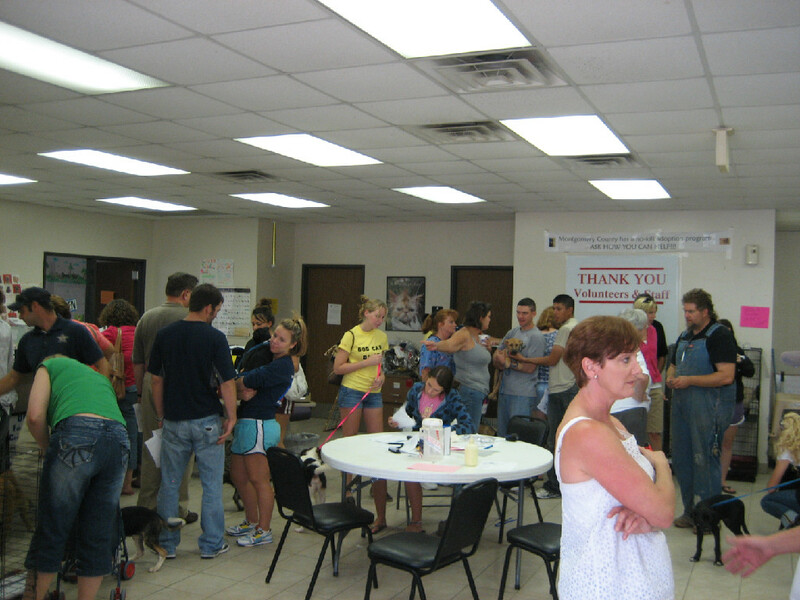 FMCTAS delivered many pallets of food for the animals. 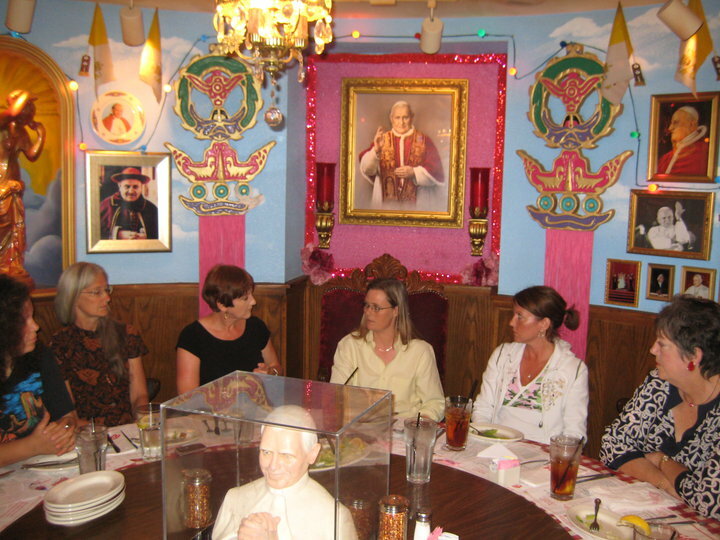 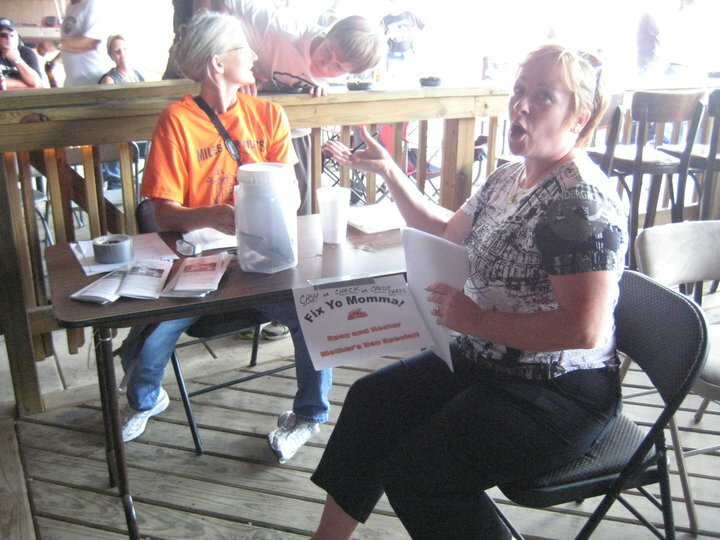 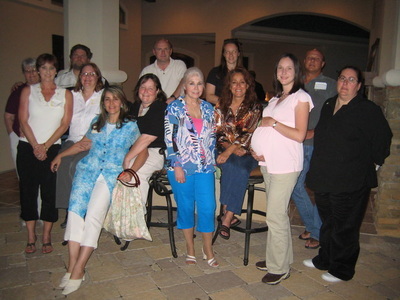 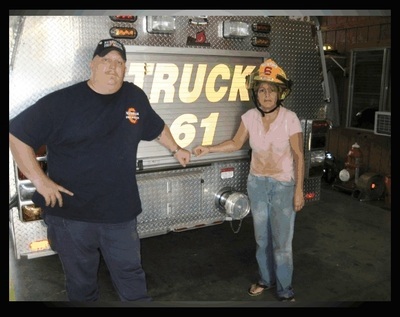 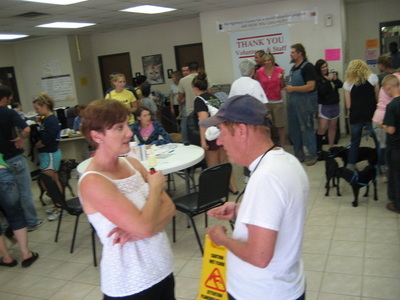 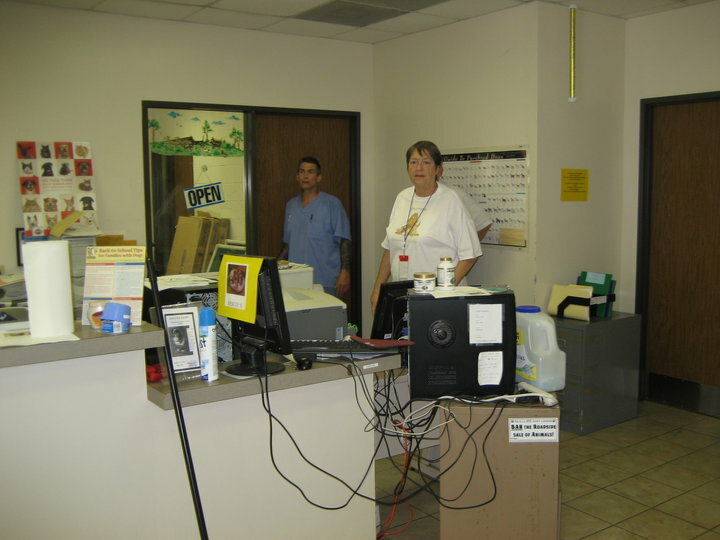 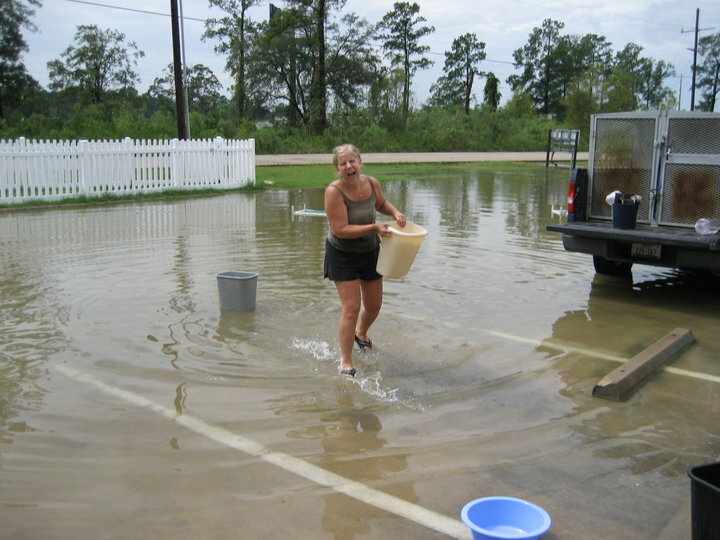 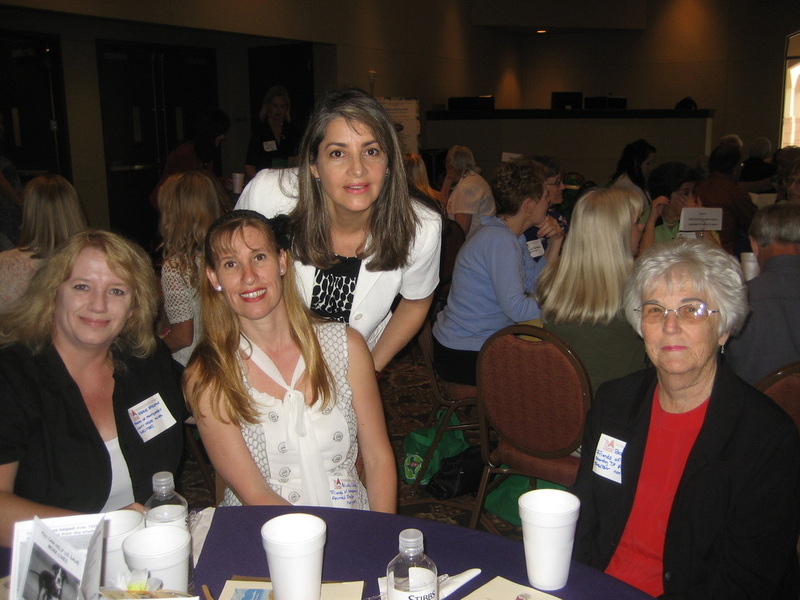 FMCTAS and volunteer, Maile Shuyler, contacted TV and Radio stations after Hurricane Ike hit. 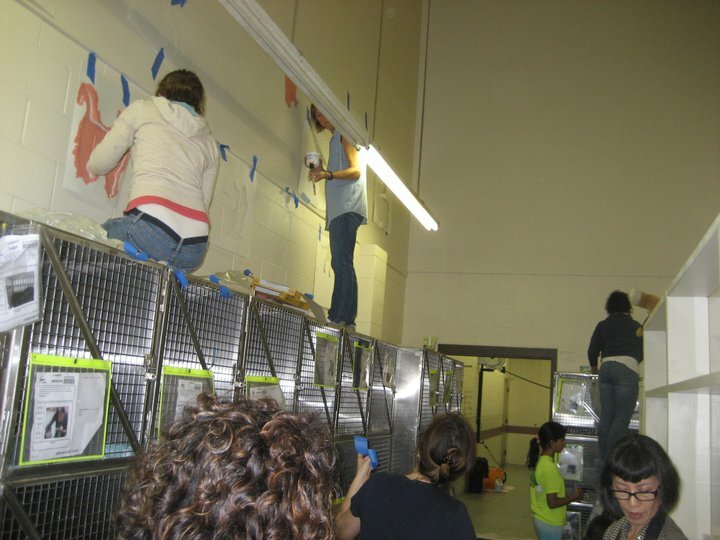 The response was so great that every cat and dog (about 700) went to a home. 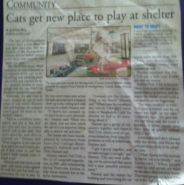 The shelter was empty for the first time in its history. 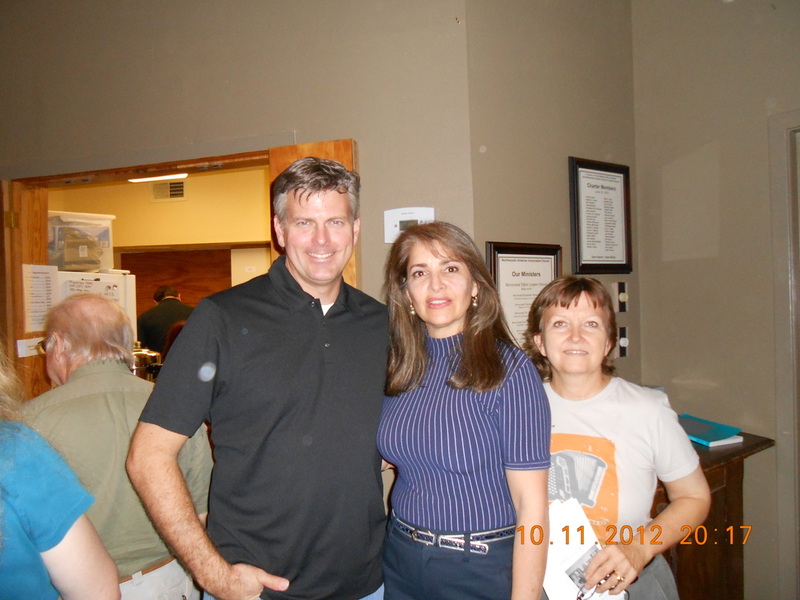 Special thanks to Denise McIntyre. 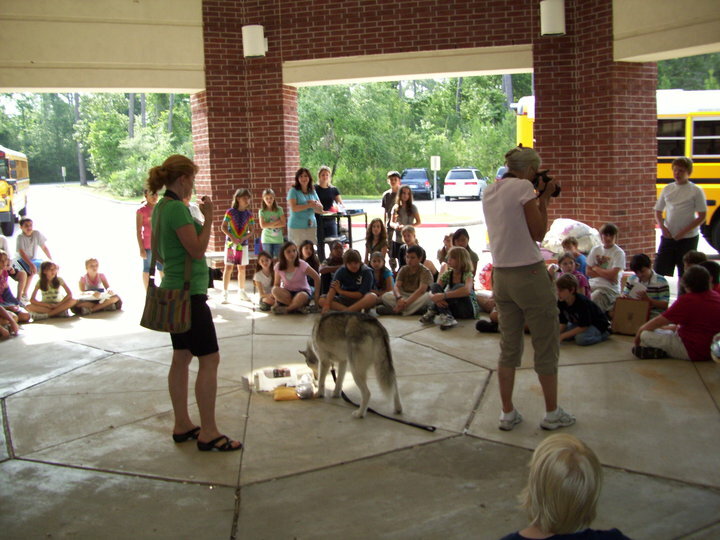 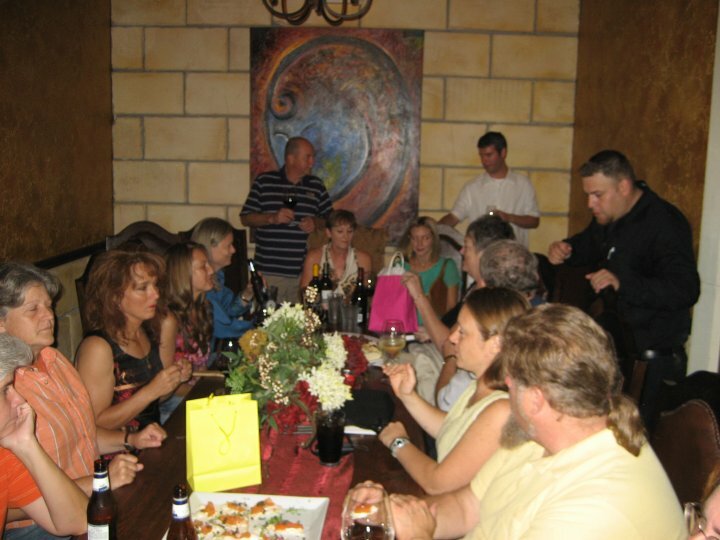 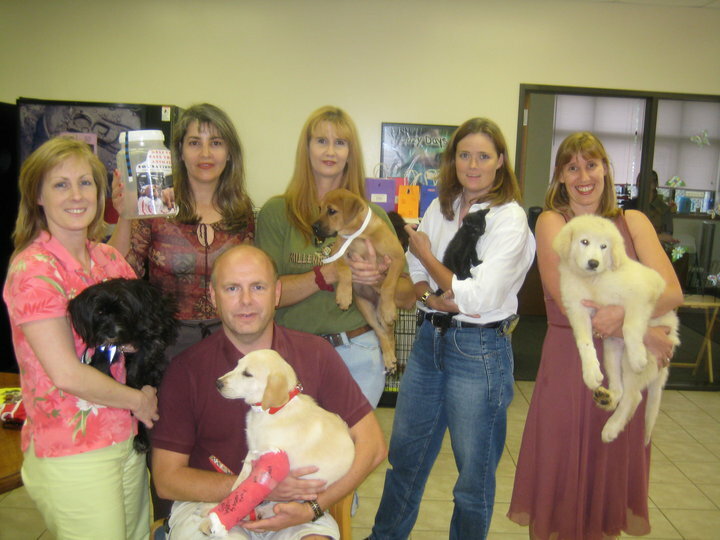 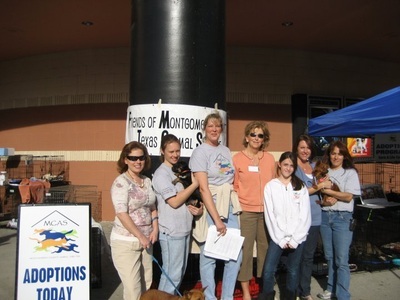 In 2008, FMCTAS secured one of our most successful adoption venues at Tinseltown Movie Theaters in The Woodlands. They allow us to set up outside their theater and as many as 15 animals are adopted on any one day. 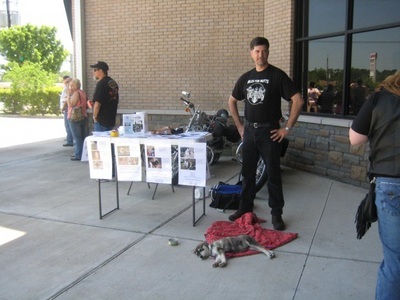 Harley Davidson event, adopting pet with our Volunteer Jay Mitchel. 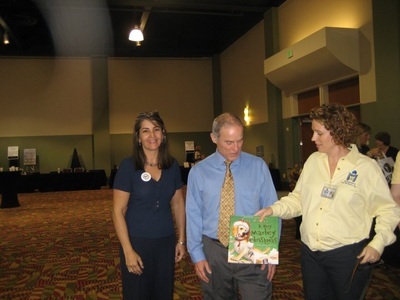 Writer Bob Harvey, who donated 50 books to FMCTAS, thanks to Kerrie Ragsdale. 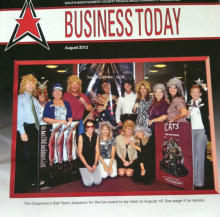 MCABW fundraiser for FMCTAS "Ladies night out " event, Las Vegas Theme. 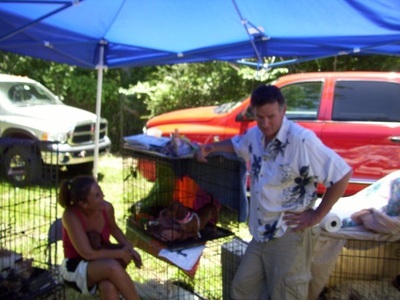 Christmas Tree farm fundraiser event with Westminister National Champion Dog "Stump"
3. 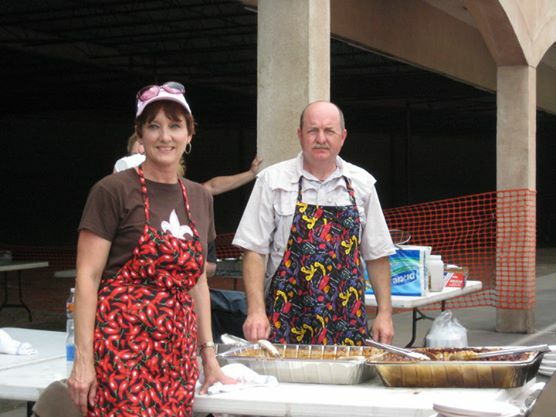 Best board member in Texas. 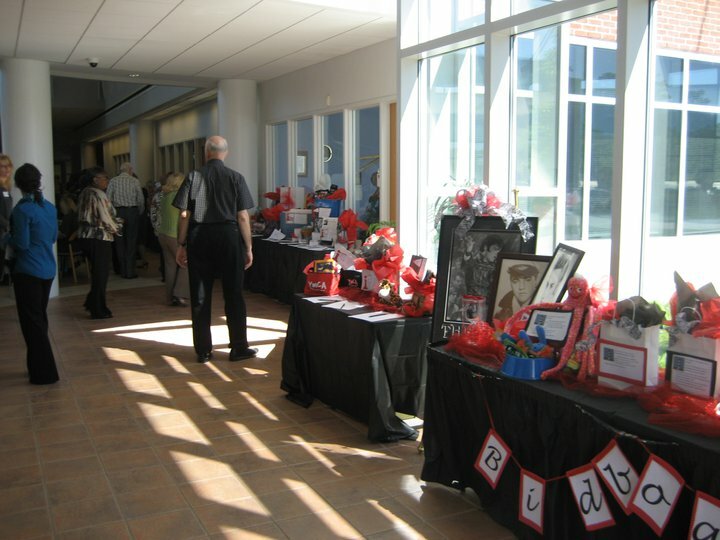 donations to FMCTAS . 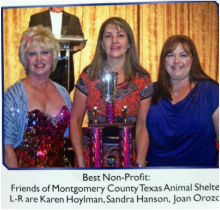 Award: "Volunteer of the year"
and grants to some rescue groups. 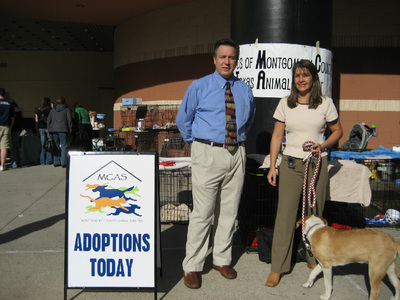 FMCTAS has participated in this adoption event since 2007.